When we first moved to the country in 2002, I had no idea what I needed to survive the outdoors during winter. That first year, I was so cold because I wasn’t dressing properly for the weather. 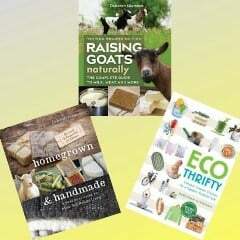 Over the years, I gradually started shopping more at the farm supply stores and less at the mall. Although it might seem that they have a lot of the same products, such as coats and socks, their insulating capabilities are vastly different. It took me more than 10 years to finally try The Original MuckBoots, and in no time, I felt so foolish for not trying them sooner. You might think they are anything but thrifty with a price tag of $100, but they are seriously worth every penny. They come in several varieties, such as Chore Boots or Wetland, which are meant to serve different needs. 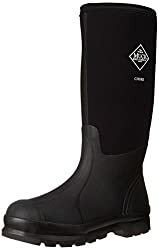 The Wetland are supposed to be more waterproof than the Chore Boots, so they cost more, but different family members have the different varieties, and we’ve found that the Chore Boots still do a great job of keeping your feet dry when going through puddles and mud. One thing that surprised me is how warm they are, because they don’t advertise them as being particularly warm. However, I discovered that they are actually warmer than my leather and fleece lined winter boots, which I no longer wear outside for chores in the winter. 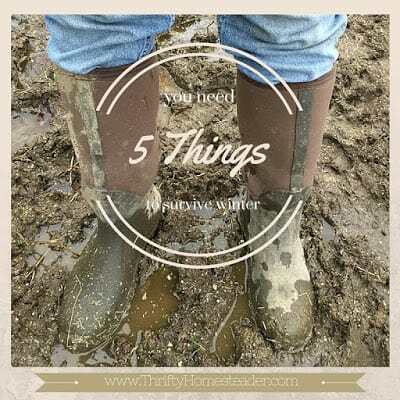 I use the MuckBoots twelve months a year as they are equally awesome in snow and mud. For too many years, I simply wore jeans or sweat pants with long underwear, assuming that it was the best way to keep warm. I would see other farmers wearing what I considered the ugliest puke-yellow coveralls and wondered why anyone would wear something so ugly. Then one day I went into Tractor Supply, and they had purple insulated overalls. Purple is my favorite color, so I decided to give them a try, and boy did I feel foolish. I immediately understood why people wore those ugly puke-yellow Carhartt’s! They’re warm! 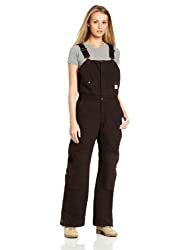 I raved about them so much that everyone in my family wanted to try them, and after wearing them outside just once, they were all asking for their own insulated overalls! 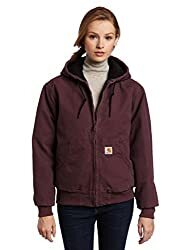 Some of us have Schmidt and some have Carhartt, and both are great quality. Once I discovered how warm the insulated overalls were, I decided to try one of the Schmidt coats, and it is indeed much warmer than the Liz Claiborne jacket that I purchased on clearance at the mall. However, the Schmidt coat is so thick that when doubled with the overalls, I am not very flexible, so I don’t wear it unless I really need it. The other great thing about these coats is that they have hoods, which I really like because I don’t always realized I need something on my head until I’m outside doing chores, and I don’t want to come back inside to get a hat. makes some that are thicker than Schmidt, but they are so thick that you might need a pair of boots that are half a size larger than normal so that you don’t cut off blood supply to your foot. Small price to pay, however, to keep your feet warm when the temperatures are down to zero. Since the two different brands have different thicknesses, I have several pairs of each and only wear the thickest ones on the coldest days. Of course, you need something to keep your hands warm. Unfortunately this is one area where I haven’t found any particular brand that I’m too excited about. Although the Schmidt gloves do keep my hands warmer, if my hands start to sweat at all, the inside of the gloves wind up wet, and they take a couple of days to dry. Of course, wet gloves are not warm, so that puts them out of commission for a couple of days. 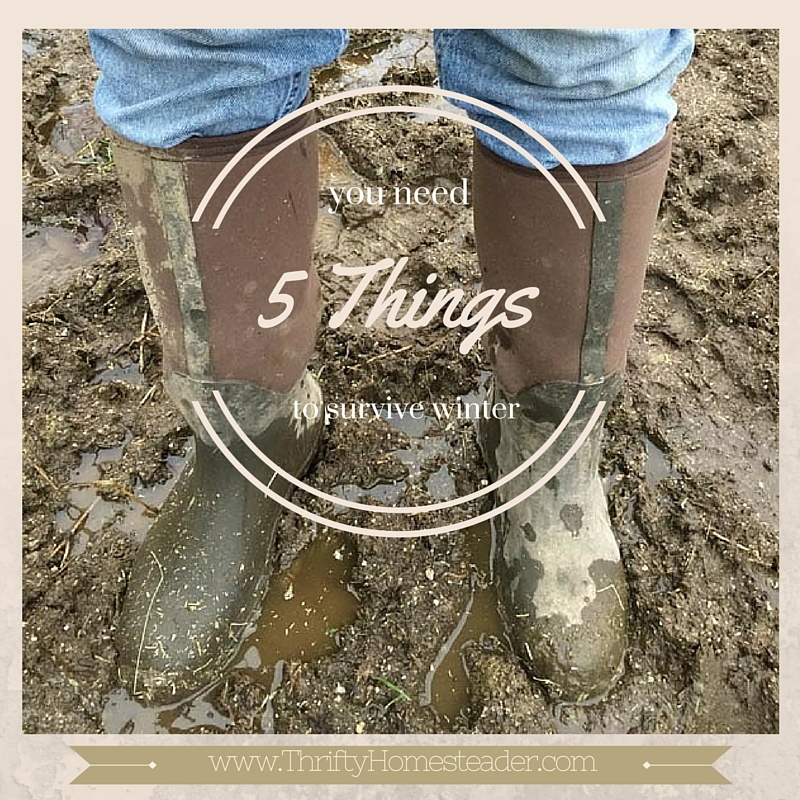 Winter weather can be absolutely brutal for us humans on a farm, but if we’re wearing the warmest possible clothes, it can be more bearable. This post includes affiliate links. If you purchase any of the products after clicking on the links, we will get a very small percentage, while you pay exactly the same price as you otherwise would. Thanks for your support! Great ideas! This is my first year on a farm and I have been wearing my snowboarding pants and boots. While they keep me warm, they are more expensive and less durable than the Carthart! Maybe next year I will get proper farm clothes! The best winter tip I got this year was to empty water troughs at night! After goats and chickens are housed for the night, I empty the outdoor troughs. In the morning, I add warm water. This way, I don't have to chop at ice in the morning, and the warm water lasts all day! get a boot/glove drier for the wet gloves! They are about $20-30 and work GREAT. I wouldn’t be without one. Gloves and wet boots/shoes dry overnight. I have finally found the best hat to wear when doing outdoor chores on the farm. My hair tends to be a problem when wearing hats, they just don’t sit right, eventually falling off. This hat (or cap) has elastic around the edge, allowing it to sit securely on my head. The ponytail loop is a great addition since I typically where my hair secured this way. My goats love to taste parts of my clothing & my hair unless I have it tucked securely away. The other great thing is if I need additional protection I can pull my coat hood up over it, without wrestling my hat to stay on. Also available in black with grey trim. Have all the gear you mentioned, BUT one difference, my Schmidt gloves I purchased four pairs at a time, so when one pair is wet and drying, I can grab a second, or if I wear holes in them, I have the others to take care of me. 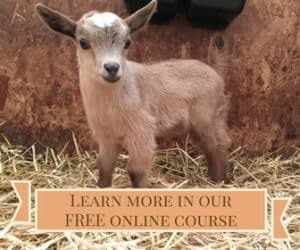 I also have a headlamp around my neck, when needed it can be placed on my forehead for additional light for trimming hooves or looking into ears in a dark barn, or seeing ice on the ground! Yes, up in Alaska we wear it all, but I have to use insulated bunny boots as the insulated XrtaTuf are not even enough for our winter temps. I use immersible water heaters all day long. And, seldom go anywhere without my head lamp! Happy New Year to all.